We understand the importance of true data and that just having a website is sometimes not enough. To maximise your investment, visitors need to be tracked and monitored to view what they do when they get there, helping to drive up traffic and increase conversions. 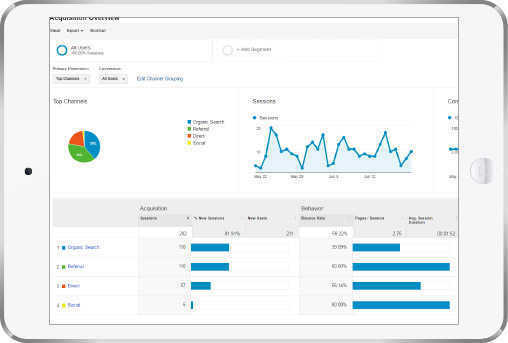 We ensure you get the best out of Adobe or Google Analytics, making certain they are correctly installed and that you understand exactly what your data is telling you, providing full site performance reports and tactical methods of improvement, working with you to provide valuable reporting and integrations. 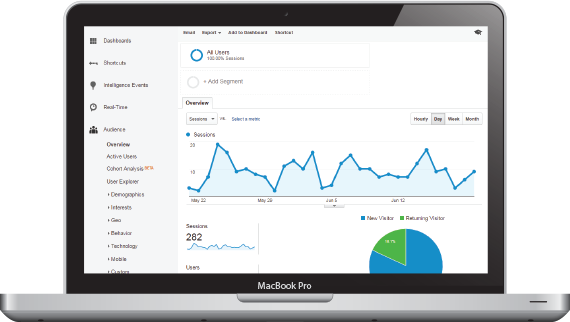 And, if your requirements are more advanced, we offer bespoke software tracking, reporting which companies have visited your website, together with Tag management, highlighting data-led insights and making recommendations to bring success to your business and marketing objectives.